Oshkosh, Wis.-- Continental Girbau Inc. (Continental) recently added the new 33-pound capacity G-Flex Washer to its most advanced line of hard-mount flexible-speed washers. 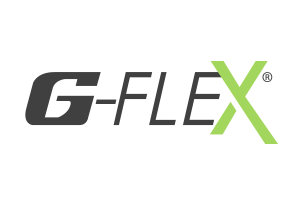 The G-Flex line – featuring 33-, 40-, 55-, and 70-pound capacity models – boasts the ProfitPlus® Control, serial communication and six programmable extract speeds, including 100, 140 and 200 G-force. All G-Flex Washers are backed by a 10/4/3-year ContinentalCare warranty. The new 33-pound capacity washer fills a unique size need for vended laundries, according to Joel Jorgensen, Continental vice president of sales and customer services. “The 33-pound capacity G-Flex Washer offers slightly greater capacity than the standard triple-load machine and significantly greater capacity than a standard double-load machine,” he said. When utilized at 200 G-force, G-Flex Washers work to remove more moisture from each load, which reduces dry time and natural gas consumption. Customers complete laundry sooner and store owners enjoy boosted customer turnover. The washer’s ProfitPlus Control helps set vended laundries apart by offering customers more control over the laundry process. It features HOT for whites; WARM for colorfast and permanent press items; and COLD for colors. The ProfitPlus Control also offers premier cycle options to customers, allowing them to add an EXTRA WASH, EXTRA RINSE, SUPERWASH and/or DELICATE CYCLE. Meanwhile, owners can program mechanical action, wash temperature (by degree), water levels and wash/rinse/extract time in each phase. The control's flexibility allows multi-level vend pricing on the same machine depending on the wash program selected, time of day, or day of the week. Additionally, owners can program variables within the EXTRA WASH, EXTRA RINSE and DELICATE CYCLE options. It takes just a few minutes to program an entire laundry using the control and standard serial communication. When teamed with popular payment systems, ProfitPlus integrates networking, remote programming and payment-system interface to make quick programming possible. In minutes, from a remote computer, tablet or cell phone, owners can configure pricing and specials, run reports, schedule routine maintenance flushes, and monitor the status of the system and equipment in real-time. Owners can instantaneously download the modifications onto specific machines, or an entire store. Like all G-Flex Washers, the new 33-pound capacity model features durable AISI-304 stainless steel inner and outer drums. The front, side and top panels are constructed of steel and coated with Continental's unique Titan Steel Finish™ for superior appearance and corrosion resistance. An oversized door, which allows for easy loading and unloading, is equipped with a heavy-duty, bolt-style hinge to withstand the rigors of constant use. The new 33-pound G-Flex Washer also features a sump-less design, which saves up to three gallons of water with each fill. Its exclusive AquaFall® system further conserves water by releasing water into each load through holes in the drum lifters – improving saturation and rinsing. In turn, laundries save water and water heating costs. The G-Flex AquaMixer® system mixes hot and cold water to achieve precise bath temperatures – minimizing hot water consumption. To find out more about Continental laundry products – backed by industry-leading warranties and customer care – visit www.cgilaundry.com or call 800-256-1073.